And what a sale it will be — for the first five days of August, we’re giving away for FREE all four LabourStart titles on the Amazon Kindle. I’ll need to test this tomorrow (Friday, 1 August) to make sure it works, and will then publicize it widely. 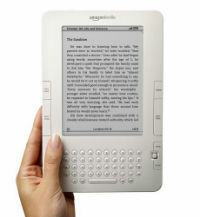 This should considerably increase the number of readers of our books and may help book sales in future. We launched our Gaza Ceasefire campaign on 22 July; it is already our second largest active campaign. We launched a campaign in defense of jailed Iranian trade unionist Reza Shahabi on 10 July. The Ecuador campaign was closed after 3 months. I’ve followed up with the translators for our top 15 languages, trying to make sure that as many campaigns as possible appear in as many languages as possible. We did very well with the recent Turkish Georg Fischer campaign and promoted news of our victory to our list, as did with the victory at LATAM in South America. That’s two victories this month that we contributed to. Using a voucher we had from Google for some free advertising, we ran ads supporting out Polish LIDL campaign; they were seen by nearly 24,000 people, but only 103 clicked on the link. We received a generous donation from Building and Woodworkers International (BWI) and from the Trade Union Advisory Committee to the OECD (TUAC). We’ve had an offer from a well-known comrade to run a Marathon in Wales in October to raise funds for LS; more details soon. Our under-utilized Events module just got better — now you can tag an event not only by country, but by state/province as well. You can see the results by checking out our UK/England news page. People noticed that visiting our home page took you to a URL that included ‘2013’. This has now been fixed and instead of ‘2013’ it says ‘news’. Most people will not have noticed. I’ve been given warning that we’re to be kicked out of our offices very soon. I visited possible alternatives in Finsbury Park, Bethnal Green and Muswell Hill. I’m leaning towards working from home for a few months, which will save us several thousand pounds. LS has been invited to provide a speaker for a Unifor event in Canada. Derek will probably do it. Eric has also been invited by the European Trade Union Institute (ETUI) to help teach a course in Germany in September. A comrade from a group in France called ReACT came to our offices for a meeting; we discussed many ways of cooperating. I had a long meeting in London with the Morocco-based representative of the Solidarity Center; we discussed among other things the possibility of a correspondents’ meeting in the region, maybe in Tunis. I followed up with all those who attended the IndustriALL communicators event last month in Italy, at which I spoke, and invited them to cooperate. Two replied, and we picked up a new correspondent in Cambodia as a result. I’ve been encouraging comrades to post reviews of the Dan Gallin book on Amazon; some have already done so. Even though book sales haven’t been amazing, for the first two months of our current financial year (June-July), book sales have made up about 10% of LabourStart’s income, though this is unlikely to continue. I’ve begun adding reviews to the Gallin book to our page promoting the book — so far, only two. I wrote to everyone who requested a review copy (PDF) and asked them to let me know when their reviews appear. Thanks to Matt Heaney, the book is now on sale at ver.di’s bookshop, both off- and online. I wrote to all 130 people who spoke at our Berlin conference reminding them that we want all their texts for our next book by the end of July. For those who post these photos (mostly Derek) there’s now an explanation of how to post country-specific ones. If anyone wants to do this, email me and I’ll explain how it’s done. The photo of the day is also now available on our mobile edition for the first time. Remember our campaign in support of Georg Fischer workers in Turkey? We launched it only a little more than 3 months ago, and it got around 9,000 supporters. We ended the campaign not long ago and now IndustriALL is reporting a victory. Well done, comrades. I’ll publicize this to our supporters in a day or two. We’re amplifying the ITUC’s call for an immediate ceasefire in Gaza with a LabourStart campaign launched today. It’s a very short text and a very clear message, and I hope this will be a HUGE campaign with many thousands of supporters, united in our belief that the killing must stop right now. The campaign is here: http://www.labourstart.org/go/gaza Please spread the word. Coordinating with the Comrades from the Solidarity Center and UNI-ICTS, LabourStart was solicited to start an international campaign via the “ActNow!” campaign. The latter organisation received the necessary explanations and did not hesitate in supporting the UMT’s activists. The icing on the cake came, when Comrade Mostapha Berrchid – the general secretary of the Total Call union local – was invited to participate at the “Global Solidarity Conference” in Berlin from the 22nd to the 25th of May 2014, where he was applauded and welcomed as a hero after having made introductory remarks at the opening of the conference to explain the situation and obtain support from the delegates for trade union activism in Moroccan call centres. In addition to activists, correspondents, and supporters of LabourStart from around the world, dozens of Moroccans have been able to – for the first time ever, participate in an on-line LabourStart campaign. And record numbers were achieved, not only for the participation of Moroccans, but in the level of support for a Moroccan trades’ union cause – with 8,527 signatures. But one thing is certain, and that is that the management of Total Call cannot continue to play dumb, especially after the hard knock they have received as a result of the LabourStart campaign against their repeated violations of trades’ union rights and freedoms. Campaigns: We launched five campaigns in the last six weeks. These were in support of Korean workers (Samsung), Turkish workers (M&T Reklam), and Peruvian and Argentinian workers (LATAM) – which we won. 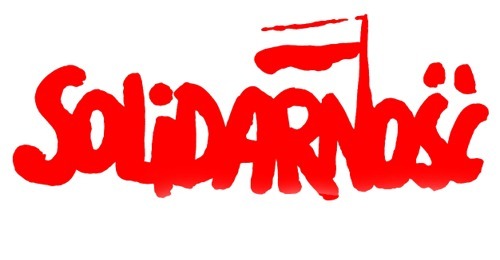 This week we added two more campaigns in support of workers in Poland. We’ve also closed four campaigns in the same period — Georg Fischer (Turkey), Colombia, Aeroflot (Russia), and Total Call (Morocco). Conference & finances: We had a bit of followup including media coverage, which is documented elsewhere on Inside LabourStart. I’ve now completed all payments relating to the event — and can tell you that the conference was great, but also costly. We need to raise quite a bit to refill our coffers. Books & other publications: We’ve now sold well over 3,000 books. As Google offered us a very big prize if we started running ads again, we’ve launched a modest campaign to promote our most recent book. I’m working on producing the conference book, Global Crisis, Global Solidarity. It should be ready by late summer. We won’t be doing a 2015 Global Labour Calendar (it’s too late in the year now to get it right, and on time), but we are discussing doing a 2016 version. Correspondents: We added a number of new ones from the USA, Spain, Israel, Germany, and Poland. One or two complained that they submitted applications which we never saw. I’ve not been able to figure out how that could happen, but instead have put in a warning to people applying to become correspondents that if they don’t hear from us shortly, to email me directly. About LabourStart: This page hadn’t been updated for years — I gave it a quick refresh last week. First of the month problem: The French news page, which is now modelled on the English one, was behaving badly, not showing news, on the first of every month. This has now been fixed. Staff: Our second intern, Tom, is no longer working for us. Gisela, who was on the payroll for a few months building the Berlin conference, is now happily unemployed (for a while at least). Office: We’ll need to move by the end of October. I’m looking into alternatives now. Over 6,500 of you supported the mechanics in their pursuit for equality, and this result would not have been possible without you. Thank you for your support for the Peruvian mechanics! As we write, LAN Argentina’s flight attendants are struggling against the company’s refusal to negotiate an agreement. We ask you to remain alert and ready for action to support our brothers and sisters in Argentina. Sorry, but I couldn’t resist that headline. It’s like the old saying about buses: you wait all day for one to come along, and then two appear at at the same time. This week we have two new campaigns in support of retail workers in Poland, from two different unions, confronting two different global employers. When I asked why this had happened, I was told it was no coincidence. Polish workers — like workers in so many other countries — are under attack. In this case, we can help and we can make a difference. The employers are the cheap LIDL supermarket chain, based in Germany, which will be familiar to many of you, and Aelia, which runs shops in airports and is part of the Lagardere Services group, based in France. Now please share this message with your friends, family, co-workers and fellow union members. * While most of our mailing lists are growing slowly or not at all, we saw a huge increase in our Korean list this month, now up to well over 3,000 addresses and our 7th largest list. The German list overtook Spanish to become our third largest list, as expected. A year ago, the German list had only 3,199 subscribers, so it’s gone up by over 2,000; the Korean list soared from 153 to over 3,000 in the same period. Meanwhile the English list has seen a net growth of just 5,000 in the same period. * Our Twitter following continues to grow quite well. We’ve picked up almost 3,000 new followers to our main English feed in the last year. * Traffic to our campaigns coming via mobile phones is soaring: we’re up to more than 1 in 4 people who visit our campaigns do so on a small screen device. More supporters of our campaigns come via iPhones than Mac desktops and laptops. Just three months ago, 18.6% of our campaign supporters came via mobile devices; today that’s 25.2%.